Did you hear the one about Apple using sapphire in its iPhone 6? That's been the popular rumor over the past several months—the company has apparently built a factory in Arizona dedicated to doing nothing more than producing sapphire crystal. It could mean that your next iPhone's display will be nearly indestructible. But did you know that Kyocera, a company based in Japan, has much more experience with the material? Neither did I. But the company is apparently using its 41-years of experience using sapphire to create something called "Sapphire Shield," which the company says is coming soon. As we saw in a recent video, using sapphire in a smartphone display could mean fewer cracked screens, and the end to annoying screen protectors. It could also mean, for those more paranoid folk, less of a reliance on ugly, bulky cases. Kyocera says it has experience using sapphire in everything from computer components to watch faces, and plans to bring its extensive knowledge over to the mobile market. 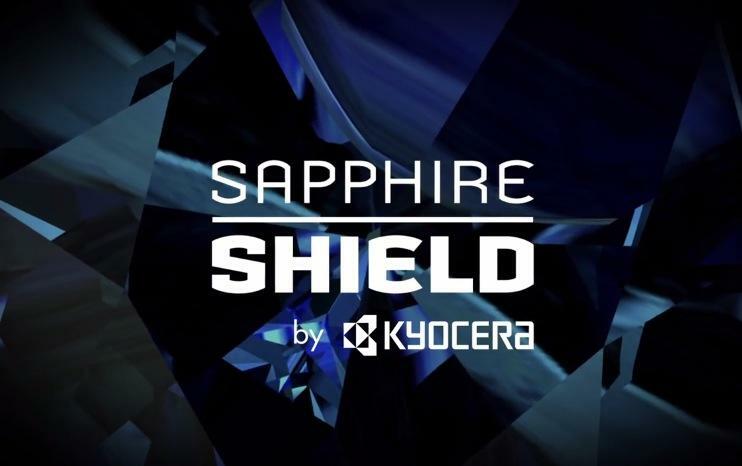 Information surrounding Sapphire Shield is scarce at the moment, though Kyocera is set to announce something soon. The thing about using sapphire displays, however, is that the material is expensive to produce, especially compared to something like Corning's Gorilla Glass, which is used in just about every flagship. Whereas Gorilla Glass is about $3 per unit, sapphire displays are upwards of $30 a pop. Kyocera has seemingly found a way to offer "a truly affordable, pure sapphire display." We'll see what Kyocera has in store soon.